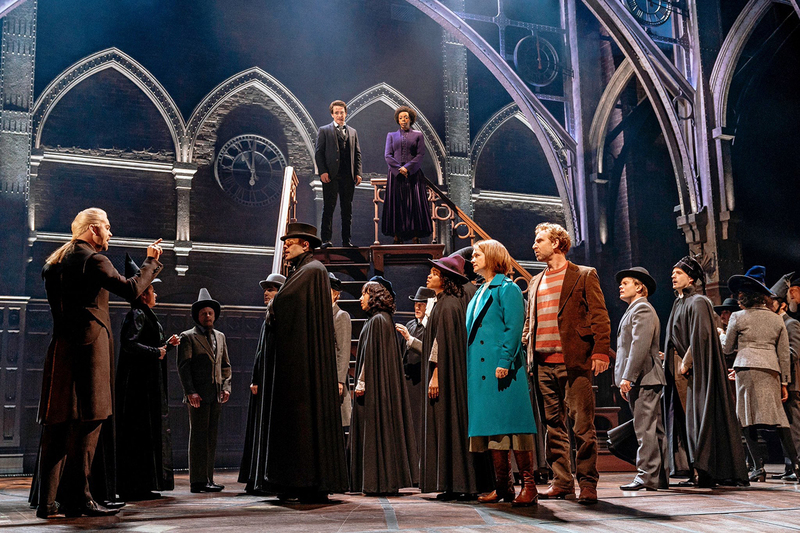 WINNER OF 6 TONY AWARDS® INCLUDING BEST PLAY! 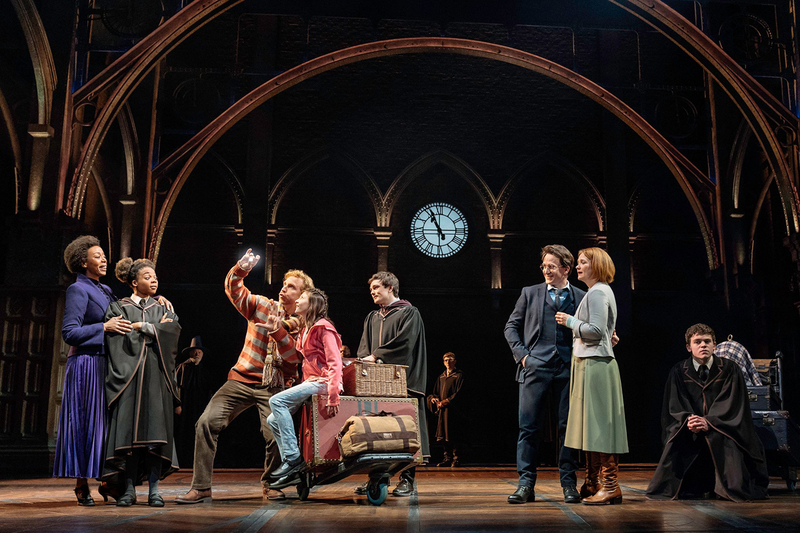 Harry Potter and the Cursed Child, a new play by Jack Thorne based on an original new story by J.K. Rowling, Jack Thorne, and John Tiffany opened on Broadway Sunday, April 22, 2018. 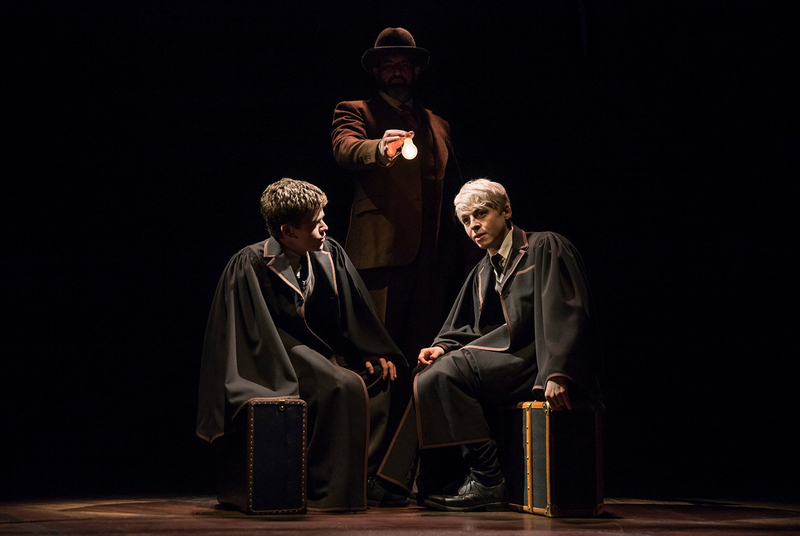 Written by Olivier and BAFTA Award winner Jack Thorne and directed by Olivier and Tony Award® winner John Tiffany, Harry Potter and the Cursed Child is the eighth story in the Harry Potter series and the first official Harry Potter story to be presented on stage, bringing together some of the most exciting talent working in the theatre today. 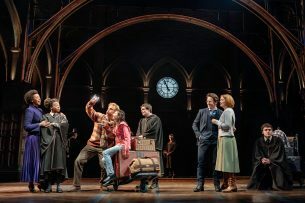 James Snyder (Harry Potter), Jenny Jules (Hermione Granger) and Matt Mueller (Ron Weasley) with Diane Davis (Ginny Potter), Nicholas Podany (Albus Potter), Jonno Roberts (Draco Malfoy) and Bubba Weiler (Scorpius Malfoy). 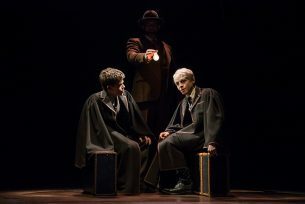 They are joined by Aaron Bartz, Will Carlyon, Kimberly Dodson, Patrick Du Laney, Sara Farb, Jonathan Gordon, Steve Haggard, Eva Kaminsky, Jack Koenig, Rachel Leslie, Sarita Amani Nash, Fiona Reid, Katherine Reis, KevinMatthew Reyes, Antoinette Robinson, Stephen Spinella, Tom Patrick Stephens, Erica Sweany and Karen Janes Woditsch along with returning cast members Brian Thomas Abraham, Olivia Bond, Stephen Bradbury, James Brown III, Lauren Nicole Cipoletti, Zoe Feigelson, Jack Hatcher, Edward James Hyland, Joey LaBrasca, Landon Maas, James Romney and Alex Weisman playing a variety of characters. 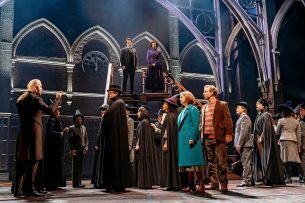 Harry Potter and the Cursed Child is directed by John Tiffany with movement by Steven Hoggett, set by Christine Jones, costumes by Katrina Lindsay, music & arrangements by Imogen Heap, lighting by Neil Austin, sound by Gareth Fry, illusions & magic by Jamie Harrison, and music supervision & arrangements by Martin Lowe. US Casting by Jim Carnahan, CSA. UK Casting by Julia Horan, CDG.